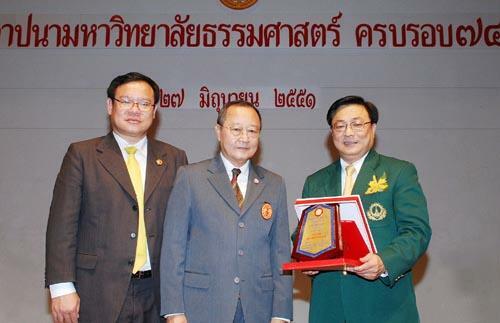 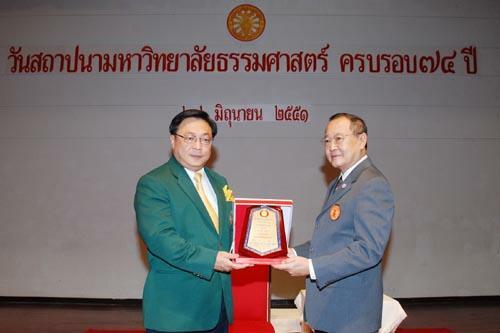 Dr. Apichai Boontherawara, President of Export-Import Bank of Thailand (EXIM Thailand), was awarded one of the 2008 Outstanding Alumni of Thammasat University (TU) on the occasion of the 74th anniversary of TU on June 27, 2008. 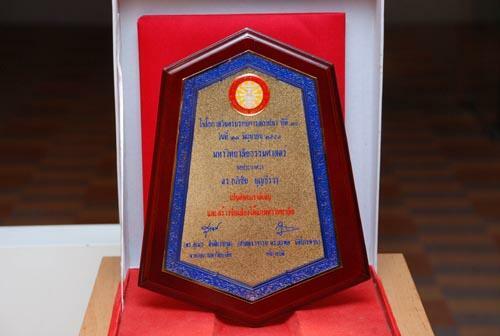 The award was presented by Dr. Sumet Tantivejkul, TU Council President. 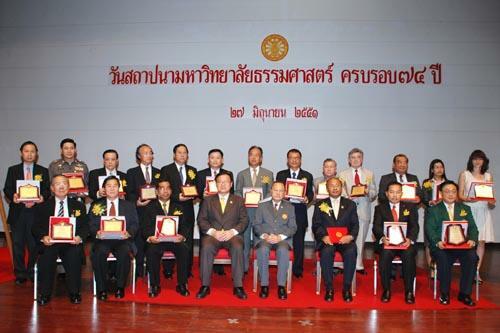 Prof. Dr. Surapon Nitikraipot, TU Rector, also attended the ceremony to congratulate the awardees. 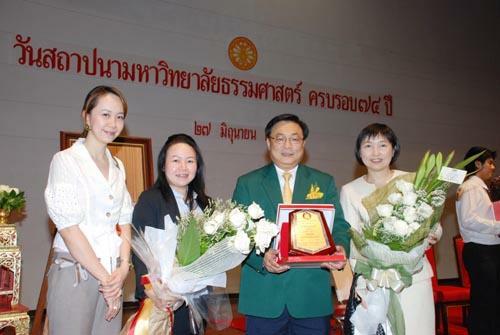 Dr. Apichai was honored for his outstanding ontributions to the university and the society with integrity, honesty and ethics, June 27 2008.